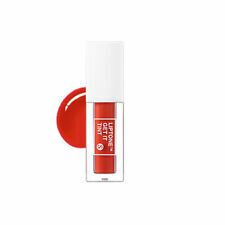 TONYMOLY Liptone Get It Tint Mini # Red hot 2pcs. ▶ Capacity : 5g 2pcs. ▶ Target Area : Lip. 100% authentic, made in South Korea Our favorite Get It Tints are now pocket-sized so you can take your favorite trio wherever you go! Shade: 01 Soft Trio. We always respond promptly to issues and try to resolve queries quickly, effectively and amicably! #01 Baby Coral. Color Option. How to use. TONYMOLY LIPTONE GET IT TINT Mini Trio 01 Soft Trio. Our favorite Get It Tints are now pocket-sized so you can take your favorite trio wherever you go!